What could have been an opportunity to address a community’s concerns has led to one-sided results as the Illinois Latino Agenda—the largest coalition of Latino-led nonprofits in the state— released the answers to its 2014 Gubernatorial Candidate Questionnaire this week. The open-ended survey asked candidates about their plans to address issues that affect Illinois Latinos, a community that represents the largest minority group at 16 percent of the state’s total population. In conjunction with its Voto X Voto campaign, the 21-question survey was sent twice to candidate-for-governor Bruce Rauner and Governor Pat Quinn. It included queries about each candidate’s plans in education, workforce and economic development, immigration, community safety, housing and health— issues that are of concern to Illinois vitality. 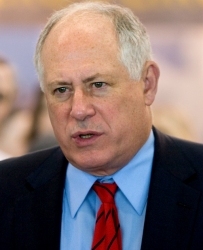 Quinn’s complete, unedited responses are available on the Latino Policy Forum’s website. 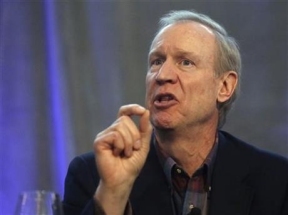 However after multiple requests to Rauner, the campaign ultimately declined to complete the survey. Currently there are more than 770 thousand Latinos of voting age and eligible to vote in Illinois. Every year more than 30,000 Illinois Latinos turn 18 and become eligible to vote.